Head off on foot, two wheels and by kayak and enjoy some winter sunshine in beautiful Lanzarote. We will discover extraordinary and varied landscapes of this stunning island and La Graciosa, its small but perfectly formed neighbour, which is often referred to as the 8th Canary Island. The northernmost of the Canary Islands, Lanzarote is the most surprising island of the archipelago with some truly breathtaking landscapes. It’s a UNESCO Biosphere reserve and over 40% of it is protected and its amazing volcanic landscapes contain some weird and wonderful plants endemic to the island, and some truly stunning beaches. Add to this a superb climate where the temperature rarely falls below 20°C, makes Lanzarote a great choice for an activity based holiday in the warmth and sunshine. This hike takes us right into the heart of the island’s volcanic centre, where we will witness some incredible landscapes made up of craters, volcanic tubes and channels, and vast seas of lava. The walk ends with a climb up Montaña de Guardilama and a visit to a local vineyard. The volcano of La Corona sits on the uplands of the Famara cliffs from where we can admire glorious views over the Chinijo archipelago on one side and Lanzarote’s stunning north-east coast on the other. The hike begins in the small hamlet of Ye and ascends towards La Corona, walking along a ridge through the mountains. The pristine, clear waters of Papagayo beaches and cliffs of the Natural Monument of Los Ajaces, serve as the landscape for an unforgettable trip. After departing from Los Coloradas beach we will marvel at the cliffs, caves and unspoiled beaches which are located on this beautiful island. We will finish the tour with a stop at the most popular beach in Lanzarote: Papagayo beach. 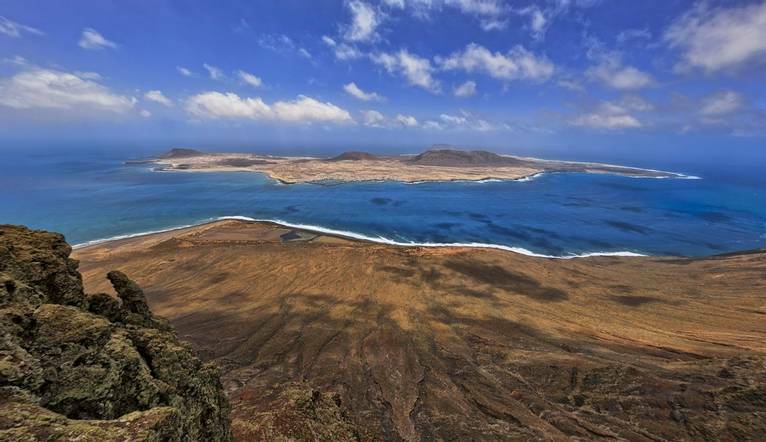 Gorgeous La Graciosa is known as the Canary Island that time forgot. We take a 30 minute cruise to this unique island where we will cycle across dunes, coastal tracks and idyllic beaches. There will also be the opportunity to snorkel in the aquamarine waters (snorkelling gear supplied) and learn about the local fishing traditions. The transfer time from Lanzarote Airport to the Hotel Lancelot is approximately 20 minutes, depending on weather and traffic.